Experience the best of Bora Bora, then escape to Rangiroa and the Kia Ora Sauvage. Depart this afternoon on your flight bound for the most beautiful islands in the world. Less than eight hours later, and you’re in Tahiti… the ultimate South Pacific destination. Following a traditional fragrant flower lei greeting, you will be whisked off to the Intercontinental Tahiti Resort for the night. 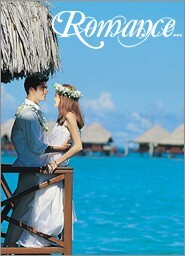 Fly to Bora Bora today, with four days to discover the magic that has made it the ultimate romantic escape. 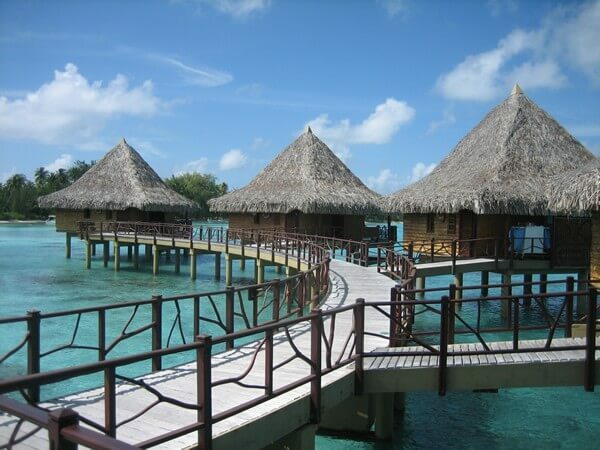 Your beach bungalow at the Bora Bora Lagoon Resort & Spa affords you privacy and easy access to exploring the crystalline lagoon. The 4×4 jeep safari and the shark and ray snorkel excursion are adventures that you’ll never forget. One evening, dine at Bloody Mary’s Restaurant, known for its South Seas charm, and many famous guests..
Rangiroa in the Tuamotu Archipelago offers you the chance to live amid wild, untamed scenery, quite removed from civilization–but with modern conveniences offered by the Hotel Kia Ora. Watch a spectacular tropical sunset from the deck of your beachfront bungalow. The next morning, you’re off by speedboat across Rangiroa’s immense lagoon to the Kia Ora Sauvage, on a tiny islet. Spend the days swimming, snorkeling, beachcombing or doing absolutely nothing. With no power or phones on the islet, it is truly an escape from civilization. Return to the Hotel Kia Ora for your last night in Rangiroa. A most memorable romantic adventure! 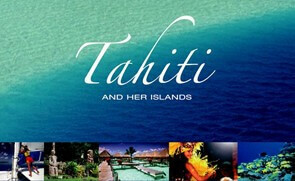 Return to Tahiti today, and say goodbye to these magical islands as you board your flight for the United States. * Seasonal air and land supplements apply. Ask for details at time of booking. Air fare supplements apply for Air Tahiti Nui flights on Friday and Saturday. Upgrade to Air Tahiti Nui Business Class, from $2950 per person.